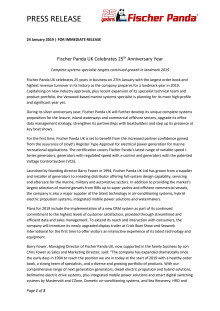 Fischer Panda UK celebrates 25 years in business on 27th January with the largest order book and highest revenue turnover in its history as the company prepares for a landmark year in 2019. 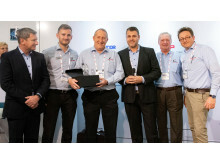 Capitalising on new industry approvals, plus recent expansion of its specialist technical team and product portfolio, the Verwood-based marine systems specialist is planning for its most high-profile and significant year yet. 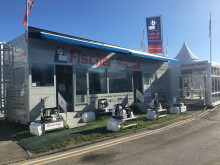 During its silver anniversary year, Fischer Panda UK will further develop its unique complete systems proposition for the leisure, inland waterways and commercial offshore sectors, upgrade its office data management strategy, strengthen its partnerships with boatbuilders and step up its presence at key boat shows. For the first time, Fischer Panda UK is set to benefit from the increased partner confidence gained from the assurance of Lloyd’s Register Type Approval for electrical power generation for marine recreational applications. The certification covers Fischer Panda’s latest range of variable speed i-Series generators, generators with regulated speed with x-control and generators with the patented Voltage Control System (VCS). Plans for 2019 include the implementation of a new CRM system as part of its continued commitment to the highest levels of customer satisfaction, provided through streamlined and efficient data and sales management. To extend its reach and interaction with consumers, the company will introduce its newly upgraded display trailer at Crick Boat Show and Seawork International for the first time to offer visitors an interactive experience of its latest technology and equipment. Barry Fower, Managing Director of Fischer Panda UK, now supported in the family business by son Chris Fower as Sales and Marketing Director, said: “The company has expanded dramatically since the early days in 1994 to reach the position we are in today at the start of 2019 with a healthy order book, a strong team of specialists, and a diverse and growing portfolio of products. 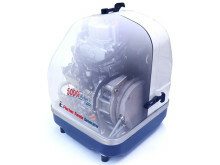 With our comprehensive range of next generation generators, diesel electric propulsion and hybrid solutions, Bellmarine electric drive systems, plus integrated mobile power solutions and smart digital switching systems by Mastervolt and CZone, Dometic air-conditioning systems, and Sea Recovery, HRO and Village Marine ranges of watermakers, we are uniquely placed to offer complete systems along with the full package of design, supply, installation and support. 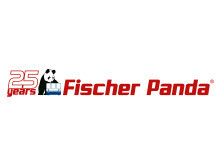 In 2019, Fischer Panda UK will focus on highlighting its hybrid electric drive systems for inland waterways craft and strengthening its presence in the commercial offshore sector. For the marine sector, key generator solutions will be Fischer Panda’s popular market-leading iSeries sets, featuring technology that allows adjustment to changing power requirements.